Your 401(k): Good or Lousy? 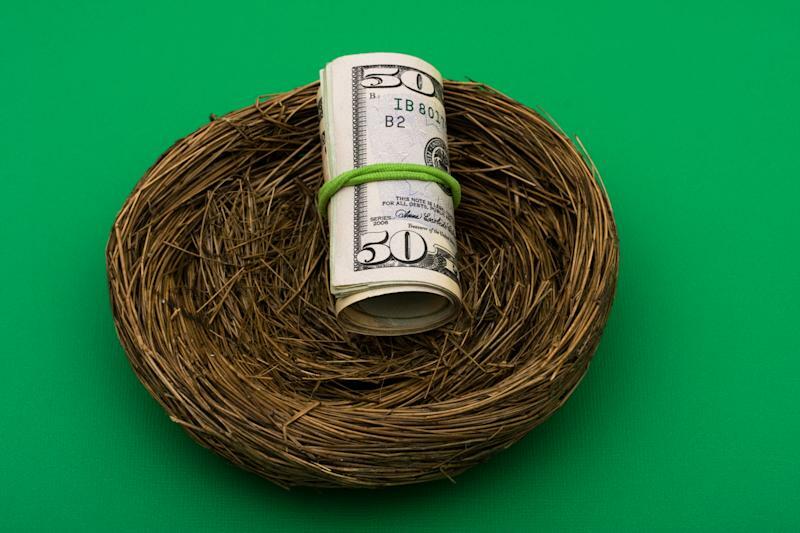 Though it gets a lot of bad press, the 401(k) plan can be an outstanding vehicle to accumulate a retirement nest egg. Studies have shown that the single biggest factor in retirement savings success is the amount of salary that savers defer. However it is also important that companies provide a good plan as a retirement accumulation vehicle for their employees. How can plan participants tell if their organization's plan is a quality one? Here are some characteristics of both good and lousy plans. --An investment menu that contains solid, low-cost choices, including several index funds. --An investment committee or similar group that actively monitors the plan's investments and manages the plan in accordance with an investment policy statement. --An investment line-up that includes some sort of a managed option for participants who are uncomfortable managing their investments. This might be target-date funds, or even access to direct advice. --The investment line-up contains choices across a wide range of asset classes. --The investment menu isn't stuffed with funds from a single family. --High administrative and other expenses. Often these expenses are buried in the fees attributed to the investment choices. --An investment menu that is stuffed with the proprietary funds of the plan provider. This is typical of many insurance company plans as well as many that are provided by major brokerage and wirehouse firms. However, this is still a plan negative even if the provider is a mutual fund company such as Vanguard or T. Rowe Price. Even then, no single fund company (even solid ones like these) offers the best option in every investment category. Similarly, many plans sold by brokers and wirehouses over the years have been totally or mostly comprised of a single family of funds, such as the American Funds. --An investment line-up that includes the most expensive share classes of the funds offered. Many fund companies offer multiple share classes of their funds. You can check on sites such as Morningstar to see if the funds offered in your plan represent the lowest cost (or at least low-cost) option. --The plan is wrapped in a group annuity. These are complicated and generally expensive insurance contracts that often don't bestow any particular benefit on the plan participants. In fact some plans carry surrender charges that make it difficult for employers to change providers. The above list is not an exhaustive one for either good or lousy plans, but one that will hopefully get you thinking about your plan. What can participants do if their plan is lousy? --Even in the worst plans that I've seen, if there is a match it generally makes sense to invest at least enough to get the full company match. This is free money; don't leave it on the table. --Become knowledgeable about the investments in the plan, team up with some coworkers, and consider going to company management to express your concerns about the plan. In this environment of increasing calls for fee disclosure your employer might be more receptive to your concerns than you would think. --Focus your retirement savings dollars elsewhere, for example if your spouse's retirement plan is excellent make sure that you max out the deferrals to this plan first. What should plan sponsors do if their plan is lousy? In far too many cases companies offer lousy plans because the owners don't fully understand the factors that make a plan good or lousy and they often don't know the right questions to ask. Plan sponsors should consider engaging the services of an independent investment adviser knowledgeable in 401(k) plans to help them assess the current state of their plan. Make sure this adviser has no affiliation with any provider of investments or plans; you are looking for an independent consultant here. At the end of the day the move to defined contribution retirement plans such as the 401(k) have put us in charge of our own retirement. As a plan participant it is up to you to ensure that your retirement savings are working hard for your retirement. Roger Wohlner, CFP®, is a fee-only financial adviser at Asset Strategy Consultants based in Arlington Heights, Ill., where he provides financial planning and investment advice to individual clients, 401(k) plan sponsors and participants, foundations, and endowments. Roger is active on both Twitter (@rwohlner) and LinkedIn. Check out Roger's popular blog The Chicago Financial Planner where he writes about issues concerning financial planning, investments, and retirement plans. Is It Too Late to Buy Stocks? Retirement Basics: IRA or 401(k)?